We are delighted to offer a kosher, non- meat, packed lunch option for your child, following a successful launch last academic year. This runs alongside our catered provision and will enable you to think together with your child as to what he or she would really enjoy at break, lunchtime or on day trips (see section below for details of food on day and residential trips). You can of course ‘mix and match’ and send in packed lunch on some days and a school meal on others. The following guide should provide you with all the information you need to prepare the lunch in accordance with the Jewish dietary laws, Kashrut. These are a fundamental principle of the Jewish faith and at the heart of our Ethos as a Jewish school. The word kosher or kashrut is a Hebrew word meaning ‘acceptable’ or ‘fit for purpose’. This word can be applied to many aspects of life for example, an acceptable way to dress, or to use money. However it is most widely used to apply to food! 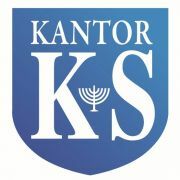 The principles of the laws of kashrut are written in the Torah (the Jewish Holy Book) and the practical details and application have been set down by the Rabbis over the centuries. Kashrut laws are a link between Jews world-wide and between generations; they are all about belief and faith as they are laws not based on a logical explanation. Keeping kashrut is a way of keeping Jewish communities together and connected. Kashrut laws apply to what we eat, how it is prepared and what types of food can be mixed with others. Kosher laws prohibit eating certain types of animals or fish and do not permit mixing food containing meat with dairy dishes. Technology empowers specialist food technologists and kashrut experts to go into factories and inspect products. If they are found to be kosher, they are given a kosher stamp (or hechsher) and are publicised as kosher approved! The kashrut department of the London Beit Din have all of these products listed on their website. We hope you will make full use of these to help you in planning what you buy for your packed lunch. Non- meat packed lunches are eaten in a designated area of the dining room only, easily recognisable by blue and white spotted table cloths. Students will not be able to use any crockery or cutlery from the dining room and should bring their own from home, or use disposables, available from all till points in the dining room. Students will also be able to purchase certain non -meat items of food on disposable plates, to accompany their packed lunch (an example might be a can of drink or a cake). Students will not be allowed to eat their lunches in any other area of the school. Meat and shell fish are not permitted as part of packed lunches; sandwiches and salads should be made at home and not purchased from a shop. Our packed lunch arrangement is based on a relationship of trust and respect between the students, parents and staff. Staff will be undertaking lunch duties and anyone who does not adhere to these rules will lose the privilege of bringing in their own food. So what can I use in my packed lunches? Sandwiches, salads and healthy snacks are all easily prepared in accordance with the laws of kashrut. Lunches must not contain any meat, poultry (chicken, turkey) or shellfish. Nuts should not be brought into school. All fruit and vegetables are permitted. Sandwiches might contain any of these: cheese, egg, tuna, salmon, jam, chocolate spread. You can buy cheese with a hechsher (kosher stamp); you can find kosher cheese in the kosher sections of Sainsburys, Tesco, Waitrose, and Morrisons or in the kosher shops listed at the end of this guide. Tinned fish, such as tuna or salmon, is permitted as long as it is in brine or pure oil. Students taking part in whole or half day trips may also bring packed lunches, using the guidelines above.